A laptop malware infection is believed to have exposed the data of an unspecified number of patients of the Barry University Foot and Ankle Institute in Florida according to an announcement made on Monday night by the healthcare provider. In the statement the university did not disclose the number of patients that were believed to have been affected, although the data only related to individuals who had received treatment at the Miami Shores School. All affected patients have been notified that a malware infection on a laptop belonging to the Miami Shores School contained a complex malware infection that potentially allowed access to be gained to the medical and personal information of a number of its patients. The malware was discovered on the laptop computer on May 14, 2013 and an expert IT forensics team was brought in to assess the exact nature of the infection and the extent of data that potentially could have been accessed. The malware has now been removed and the infected files have been restored and the hospital believes no further threat of exposure exists. The data present on the laptop included personal identifiers and medical information, including forenames and surnames, Social Security numbers, dates of birth, health insurance information, Driver’s license details, bank and credit card numbers, medical record numbers, treatment information and diagnosis codes. According to the statement, the forensics investigation prompted the university to contact patients and advise them of a potential security breach although it is still not understood if the malware actually allowed external parties to gain access to the data due to the complex nature of the infection. 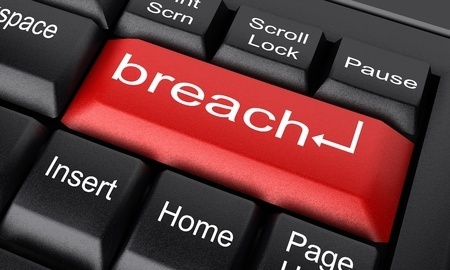 Breach notifications were issued “out of an abundance of caution” to ensure that if any data was used by the thieves the damage can be mitigated. All affected patients have been offered 12 months of free credit monitoring services and have been provided with information on how they can obtain free credit reports and what they should do if any suspicious activity is identified. The hospital has been monitoring the situation and has not found any evidence of fraudulent activity to date as a result of the breach.